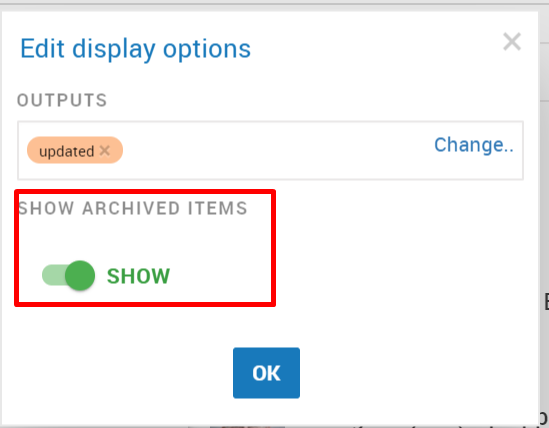 Display Options.. control the display of archived listed items (people, pathways, badges etc...), as well as what is shown on each item. 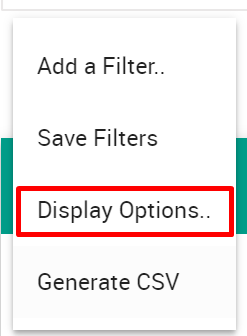 Step 2: Click Display Options.. Your archived items will look as shown below. You have the option of restoring them. For example on people list by default you can see the "updated" time. You can change this to also show the created time. Each list of items (people, pathways, badges etc..) have their own unique set of details that can be displayed (if there's something that isn't there that you want, let us know, we'll see what we can do). 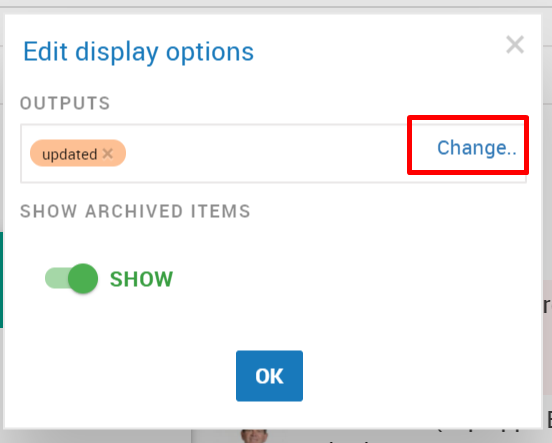 Step 4: Choose attributes you want to show on the item. 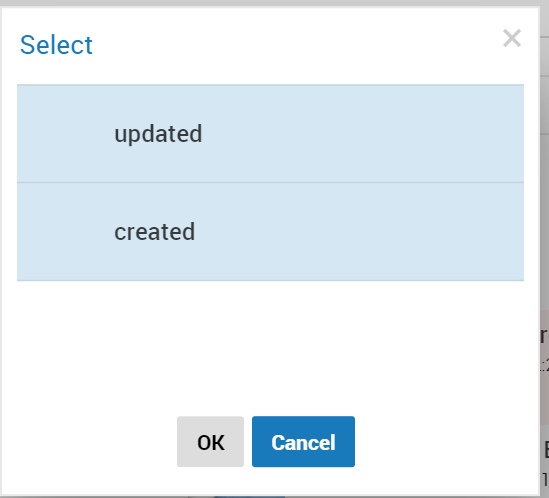 Selected items in blue will be displayed. Click OK (twice). All items in the list will be updated to show the chosen attributes.